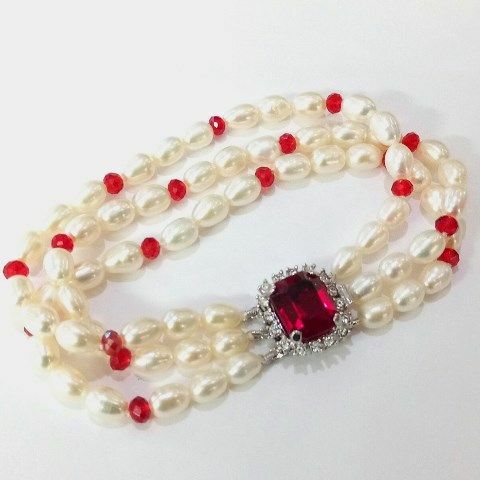 A really special bracelet of beautiful A grade oval pearls with an exceptionally high lustre. The traditionally made clasp features a lovely ruby red Swarovski crystal. We'll send this delightful piece in a pretty and practical silk purse.